Definitely I'm going to vote for 'Fair Rosamund'. Absolutely lovely! 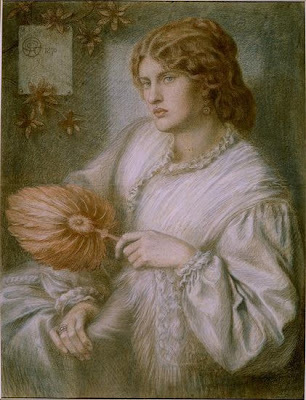 But the colour of 'Woman with a Fan' reminds me of the chalk version of 'Prosperine'. 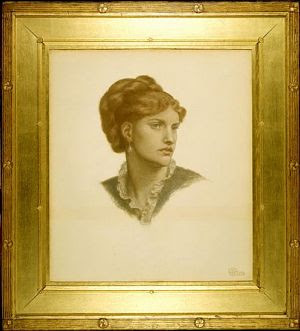 I do love Rossetti's chalk drawings. 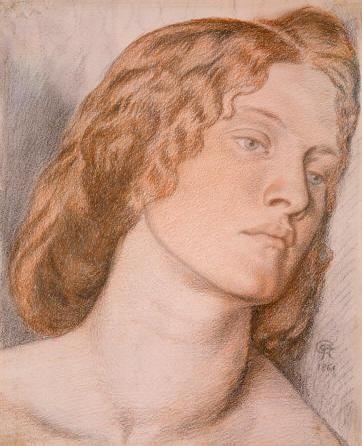 This is the most difficult one I think, because, I agree with you that chalks are where Rossetti is at his best. I think they are all beautiful, but Fair Rosamund gets my vote here - the expression is so moving and tender. They are all gorgeous. I'll vote for Woman with a Fan. Once again a difficult decision! 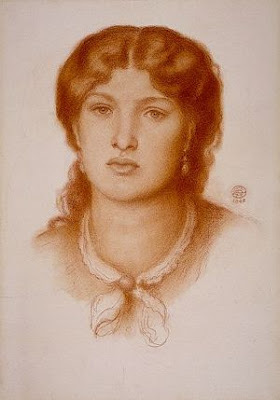 But I have to go for Fair Rosamund - it's just so beautiful; there is a lot of thought and tenderness in that drawing. I think Rossetti's chalk portraits are the most lovely of his works. More torture! I could look at these all night, enjoying the details of each of them. 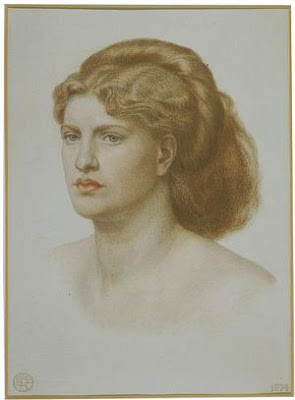 But I'm drawn to the wistfulness and beautiful mouth of Fair Rosamund. She appears to be pining for her lover, so vulnerable. 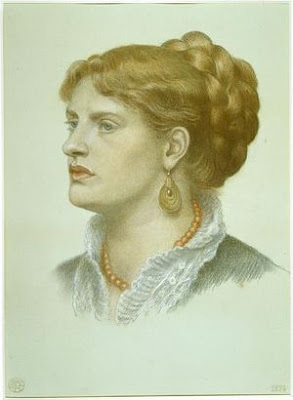 Did Rossetti ever see Fanny this way? Did he reproduce an idea, or did he draw what he saw? It will have to be Lady Lilith 1866 for me. I love the way she emerges from the darkness of the paper. 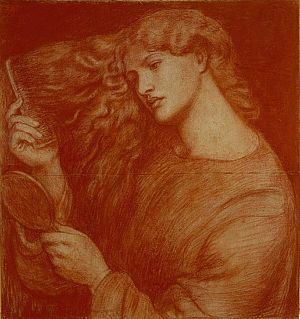 I like Lady Lilith the best, though I can't imagine anyone with that quantity of hair combing it in that odd manner - artist's licence I guess! Also, I find it a bit sad that none of the pictures these past few days are happy at all. Not even a hint of a smile for Fanny anywhere. Was she told to stay serious ala most of the runway models of today who look grim in their couture, or was she just feeling that way while posing? I'll go for the second of the 1874 trio, the one in the gold frame. I've never seen any of these three, where are they? The 'frameless' two are in Birmingham Art Gallery and Museum and the one shown in the frame is at Harvard as part of the Fogg collection. The Harvard one was unidentified for ages but is obviously Fanny if you put it next to the other one with her dressed and styled the same.